To consumers, financial products such as mortgages and loans are incredibly alike. So if you’re in the business of selling them, you need to focus on attention rather than content. That’s your USP. It’s all about adding a personal touch so the customer will choose your financial product over another. Easier said than done, because attention costs time, and time is costly. Therefore, we’d like to introduce you to a fruitful solution that brings out the best in your employees and thus results in perfectly satisfied customers. First of all, let’s mention what you don’t need: bottlenecks in your processes. They hinder the flow and lead to inefficiency. Therefore, you need to disclose your systems by making any obstacles visible to employees and management and proposing alternatives. If you do this in realtime, you’ll turn your systems into perfect means of internal communication. You’ll avoid errors, limit waiting times, and optimize processes. Isn’t that like music to your ears? Sure, the above sounds great. But we know what your next question is: How on earth do we achieve this? Well, the answer is quite simple: embrace Visual Management. Texas Digital, for example, works with QuickCOM, which discloses and therefore explains data effortlessly. Combined with VitalCAST Dynamic Signage, we add context and branding, providing insight and knowledge that ensure you can solve tomorrow’s problems today. In addition, with these solutions, the continuity of your IT systems can be maximized – especially when you’re experiencing hitches and hiccups such as power outages and system shutdowns. We visualize the issue and the time required to resolve it – if necessary, organization wide. Once the system is up and running again, employees are informed and the process can be continued. This saves your organization valuable time and money! 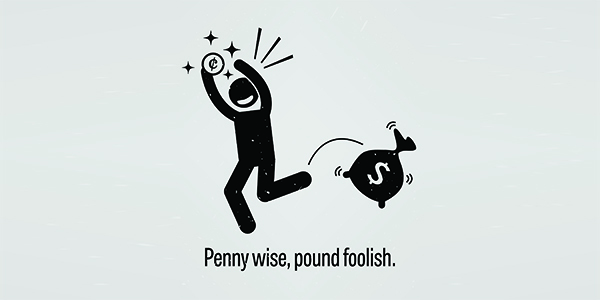 Briefly put, here’s what we want to say: don’t be ‘penny wise’ and cut back on relatively small expenses when you know it will cost you customers, efficiency, and productivity. Spend a few pounds more and earn them back tenfold (or more)! Want to know what Visual Management can do for your organization? Please don’t hesitate to contact us. We’d be happy to perform a Quick Scan and discuss your Visual Management opportunities.